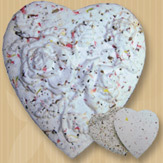 The Blooming Bio Heart Urn From MCS Supply Inc.
A unique way to celebrate the life of a pet. This keepsake urn is crafted of 100% recycled cotton, fresh flowers and perennial wildflower seeds. 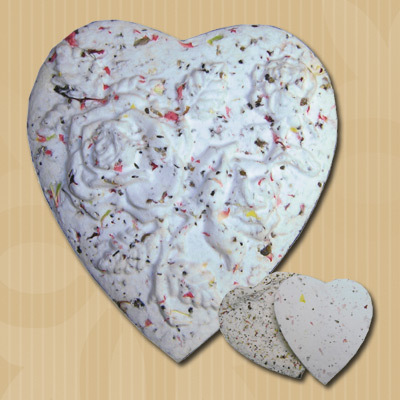 It is hand cast in an antique mold and holds a small portion of your pets cremains. When planted, fragrant flowers will bloom...a lasting tribute to a special friend..
BIO-URN HRT 1 Urn Size 6" x 5" wide 5 Cubic"